Every morning starts with hot cup of coffee in Karnataka. A state with one of the strongest coffee drinking cultures in India. Which produces more than 70% of the country’s coffee. This coffee trend in Karntaka was started in Bangalore city in early 90’s. Bangalore, decades ago, saw several young women take the lead in entrepreneurship. They changed their lives for the better.The woman was D. Sakkama and this is her untold story.Sakamma’s entrepreneurial journey started on a rather humble note and after enduring a plethora of hardships. Sakamma was born in Bidare (a village in Karnataka’s Tumkur district) in 1880, Sakamma was a young girl when her parents moved to Bengaluru in search of a better livelihood. Bright and studious as a child, her love for learning and curiosity made her parents send her to school.And she lived up to their expectations, going on to become one of the very few girls who passed the secondary school examination in Mysore Province. But, at the age of 16, circumstances forced her to marry, she became the third wife of a very rich coffee planter Savkar Doddamane Chikkabasappa Setty from Somavarapete in Coorg,an affluent coffee planter from Coorg who already had two wives. Even before opening her eyes to the realities of the society around her, she lost her husband within two years of her marriage. His other two wives followed. As the sole survivor of the family, Sakamma became the absolute owner of the entire property including a very big coffee estate. Her education helped her face the calamities that befell upon her. By 1920, she moved to Bangalore and settled down in Basavanagudi. She opened a coffee curing and powdering unit near Bull Temple Road. Soon the aroma of her coffee powder spread to a larger number of houses in the city. In addition to trade, Sakamma also got into various social service activities. She was recognised as one of the prominent personalities of Bangalore. As Sakamma’s coffee mix spread through her city, so did her name and fame. Buoyed by the fantastic response the venture received, the young entrepreneur set up centres in different areas across the city, earning herself the nickname Coffee Pudi (Coffee Powder) Sakamma.Soon enough, Sakamma Coffee Works became a household name in Bangalore. In fact, literary giants of the city like Masti Venkatesha Iyengar and DV Gundappa even began making references to its coffee powder in their creations! To give a boost to industrial development in the state, the then government gave a call to the industrial and business community to invest in several industries run by the government. Sakamma was one of them, she also generously helped the Kuruhina shetty community to establish a hostel in the present New National High School Road, Basavanagudi. The choultry attached to the hostel is Sakamma Bhavana, where her portrait can be seen even today. The area in Basavanagudi where Sakamma ran her coffee curing unit is even today known as Sakamma Garden. Recognising her service to trade and concern for social welfare, the Maharaja of Mysore, Sri Krishan Raja Wadiyar IV, honoured her with a title ‘Lokaseva Pararyane’ . The Imperial government also awarded her with the medal ‘Kaisar-i- Hind’ which literally means emperor of India. 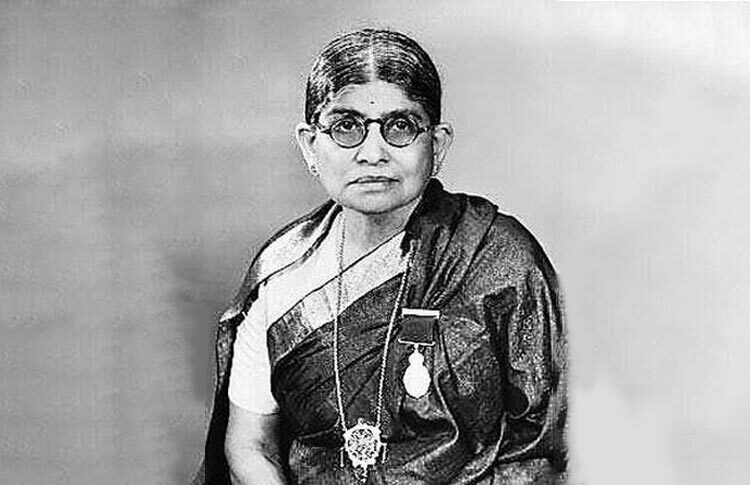 In 1934, she was nominated as woman representative to The Mysore Representative Assembly. A few of the surviving relatives of Sakamma, narrate several anecdotes about her strict administrative abilities. She nurtured Puttaparthi Saibaba when he was a young boy. After living a life only a handful of other women of her time lived, Bengaluru’s ‘Coffee Pudi’ Sakamma passed away in 1950 at the age of 75. Doddamane Sakamma is one example of women entrepreneurs of Bangalore’s yesteryear,Her venture have inspired many young women.